Air Conditioning Lab Equipment. We are Exporters & Manufactures of Air Conditioning Lab Equipment India, Air Conditioning Lab Equipment, Air Conditioning Lab Equipment Educational Equipments, Air Conditioning Lab Equipment, Air Conditioning Lab Equipment Supplies India, Air Conditioning Lab Equipment Manufacturers. 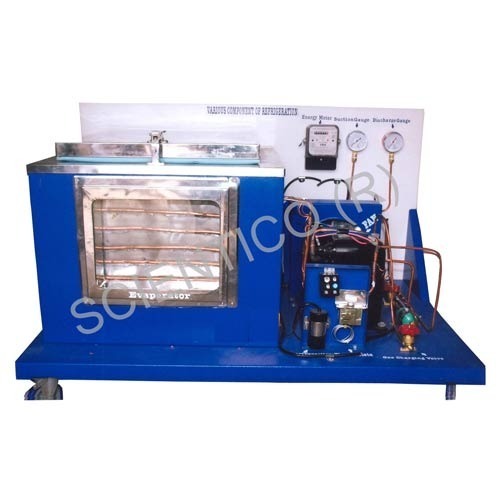 Scientico is a leading Manufacturer, Exporter & Supplier of Air Conditioning Lab Equipment. We offer a comprehensive range of Air Conditioning Lab Equipment, which are widely used in Schools, Colleges and Universities. The Equipment has been widely appreciated for its superior quality and high efficiency. Our clients can avail from us Ice Plant Trainer that is manufactured using state-of-the-art technology and optimum quality materials. The entire range is designed using quality raw materials sourced from reliable vendors. Further, to ensure the quality as per industry standards, our team of quality analysts thoroughly checks the entire product. In order to meet varied needs of clients, the offered range is available in different specifications. We are successfully ranked amongst the top manufacturers, exporters and suppliers of Components of Refrigeration. At our sophisticated fabrication unit in compliance with set quality standards, these components are designed using cutting-edge technology and optimum quality raw materials. Our offered range is tremendously appreciated for its light weight, dimensionally accuracy and durability. Our prestigious clients can avail this from us at market leading prices in different specifications. 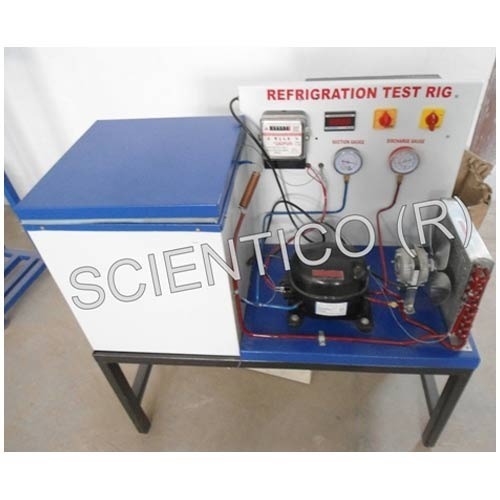 We are instrumental in providing Refrigeration Test Rig. Our offered test rig is widely appreciated by our clients for its brilliant features. The product offered by us is manufactured using premium grade raw materials and progressive technology in tandem with universally verified standards. 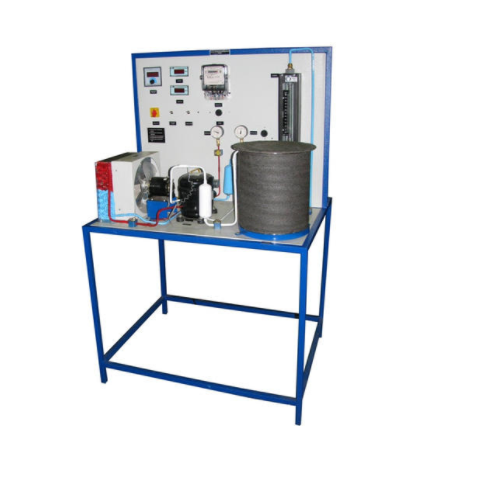 Our offered test rig is highly acknowledged for its long lasting performance among our clients. Clients can avail this range from us in different specifications at market-leading prices. 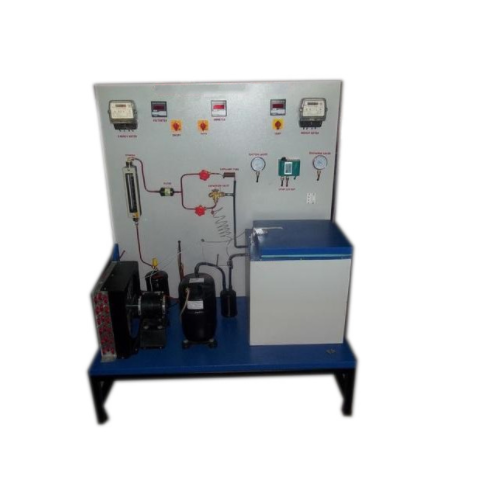 Leveraging our vast industry experience and knowledge, we have emerged as notable manufacturer, exporter and supplier of an excellent range of Vapour Absorption Test Rig. 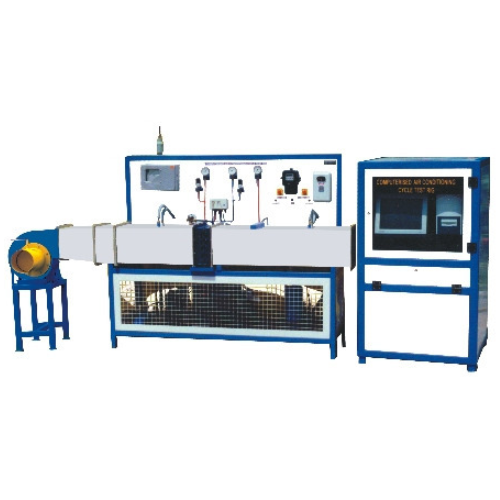 This test rig is manufactured using high quality raw materials under the guidance of skilled professionals as per the set industry norms. In order to ensure its quality, this product is stringently tested on various parameters. We offer a comprehensive array of Air Conditioning Test Rig, which is widely acclaimed by our precious clients. 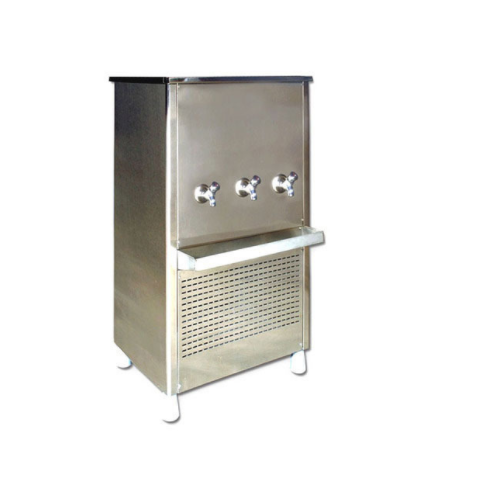 We are dedicatedly engaged in manufacturing and supplying a commendable range of Water Cooler Trainer. 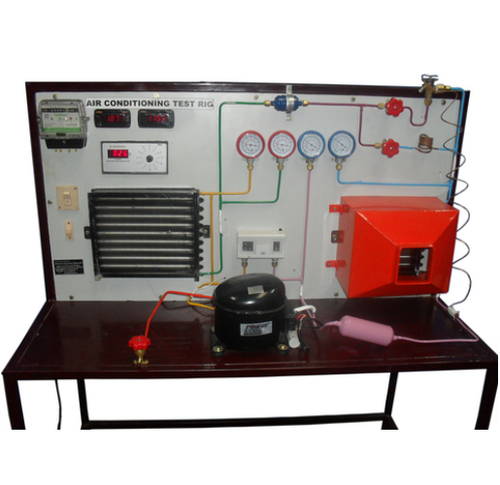 We are leading suppliers Air Conditioning Lab Equipments. Looking for “Air Conditioning Lab Equipment”?